Looking to do Additional Customization to Your Suite? 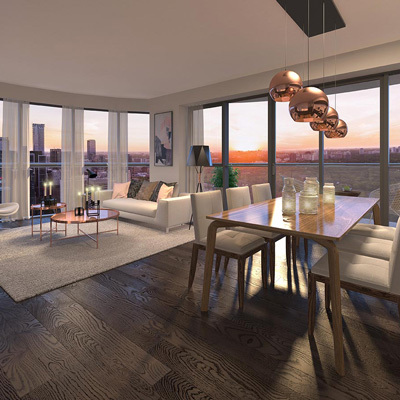 You’ve seen the renderings, now experience Penthouse 8, at Via Bloor, in person. Get a taste of the extraordinary and immerse yourself in a breathtaking virtual reality tour at our Presentation Centre. Walk the airy, open layout, take in the terrace views, and explore the fully-furnished 3-bedroom suite, discovering exquisite Miele appliances and a stunning freestanding bathtub in the master ensuite. 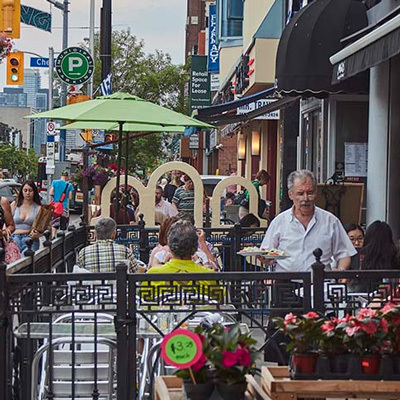 Don’t miss the opportunity to live in Toronto’s next great neighbourhood, Via Bloor, now under construction. 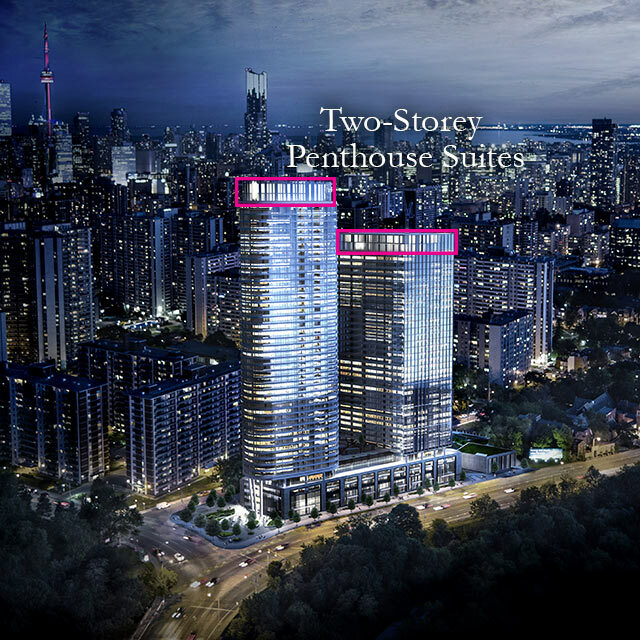 Via Bloor presents the pinnacle of sky-high luxury with its exclusive release of 5 penthouses. Featuring stunning panoramic views of the city, each spacious two-storey penthouse suite has over 1000 sq.ft. of expansive living space, soaring ceilings, intelligently designed kitchens equipped with premium Miele appliances, and a private in-suite elevator. Via Bloor lets you choose how to start, end, or fill your day with a host of state-of-art amenities. Almost anything you could think of, including inspiration. Taking a trip? Whether you’re hanging out in the city, or headed beyond its limits, Bloor and Parliament is an easy place to start your next journey. Stunning Signature Suites. Perfect for entertaining or relaxing with unobstructed backdrops of the city or ravine. A sales representative will be in touch with you shortly. Thank you for your interest in Tridel. Eight Decades of Home Building. Over 80,000 Homes Built. Tridel Communities are Built Green Built for Life®. * Prices, specifications, sizes, floorplan, keyplate & occupancy are subject to change without notice. Maintenance & taxes are estimations only and are finalized on condominium registration. All dimensions are approximate and subject to normal construction variances. Dimensions may exceed the useable floor area. Actual usable floor space may vary from the stated floor area. Furniture is displayed for illustration purposes only and does not necessarily reflect the electrical plan for the suite. Suites are sold unfurnished. Balcony and Façade Variations may apply, contact a sales representative for further details. 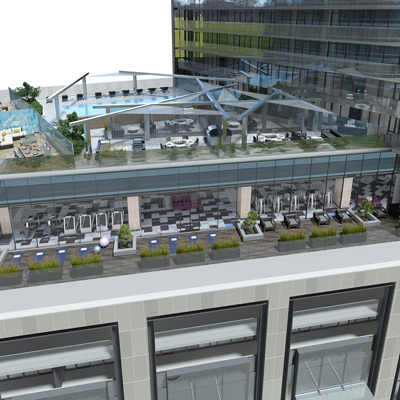 Furniture, BBQs and planter locations on terraces are for illustration purposes only and subject to change. E.&O.E. April 2019. ©Tridel . ®Tridel, design, Tridel Built for Life, Tridel Built for Life & Design, and Built Green Built for Life are registered Trademarks of Tridel Corporation. Tridel Connect™ and The Lobby ™ are Trademarks of Tridel Corporation. Project names and logos are Trademarks of their respective owners. All rights reserved. E.&O.E. Oops ... Your browser's cookie has been disabled. This will cause some of our features not working on tridel.com. Please enable your cookie!